With trail tourism on the rise, many travellers are tying up their hiking boots and heading towards popular routes such as Spain’s Camino de Santiago, St. Olav’s Way in Norway, and the treks of the Swiss Alps. And with a rapid increase in urban development in many countries, hitting the trails is a no-brainer, and a great way to get back to nature, feel a sense of achievement and take in otherwise overlooked sights. In New Zealand – the next hotspot for trail tourism – discover some of the best New Zealand Walking Trails that combine nature and spectacular landscapes. The most famous of the Great Walks, the Milford Track is an experienced adventurer won’t regret ticking off their bucket list. Trace the steps of Maori greenstone collectors, and enjoy taking in mountainous glaciers, lush rainforest and panoramic sights. Walk a 2-hour journey from Sandfly Point to Giant Gate Falls, and photograph this magnificent waterfall, one of the most captured images in New Zealand. Hike past valleys that are millions of years old, and glance upon alpine passes. This track is recommended during the October to April season when weather conditions are warmer. Follow the trail here. 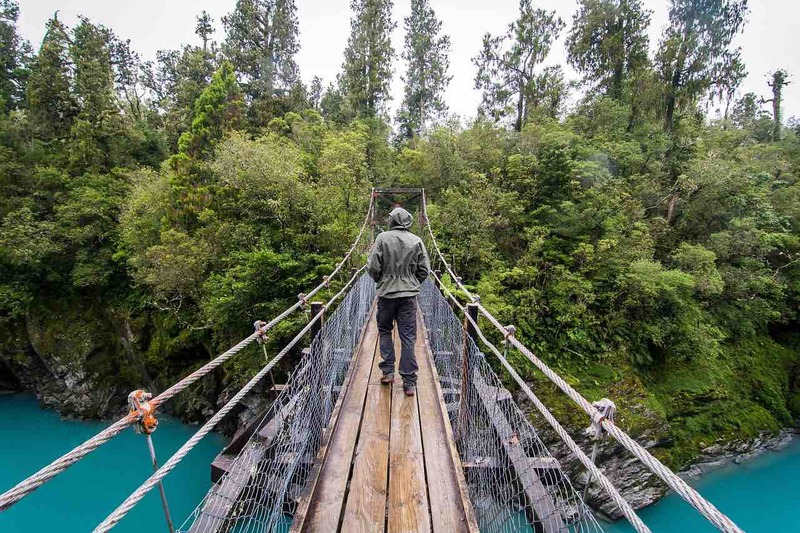 Situated in the Fiordland National Park, the Hollyford Track provides travellers with an amazingly varied experience within the park; discovering beautiful lakes, ancient rainforest and a whole range of wildlife. Again, best undertaken during New Zealand’s summer season, hikers can journey from Martins Bay Lodge to Long Reef Point and observe a local seal colony. Miles away from civilization and completely off the beaten track, this trail is perfect for those that want to disconnect from the noise of city life and keep off tourist-filled tracks. Follow the trail here. An easy going option, the Spa Park to Huka Falls track is one of the most leisurely and picturesque walks to experience in New Zealand. Beginning in the breathtaking Lake Taupo region, hikers can expect 1.5 to 2 hours of flat pathways to the site of Huka Falls, a dramatic waterfall made popular in the film The Hobbit. The track has some of the most dramatic views and is perfect for waterfall chasers. Follow the trail here. Exploring a country on foot does not necessarily mean travellers need to yield high stamina. The Glenorchy Walkway is perfect for light easy exploration, and an ideal trail for families. The track is renowned for its multitude of wildlife, and walkers can spy a New Zealand falcon looking for prey or paradise ducks swimming slowly on the river. A recent addition of 1.7 km was added to this walk allowing trekkers more opportunity to discover this piece of paradise in the heart of New Zealand. Follow the trail here.